Hello friends. 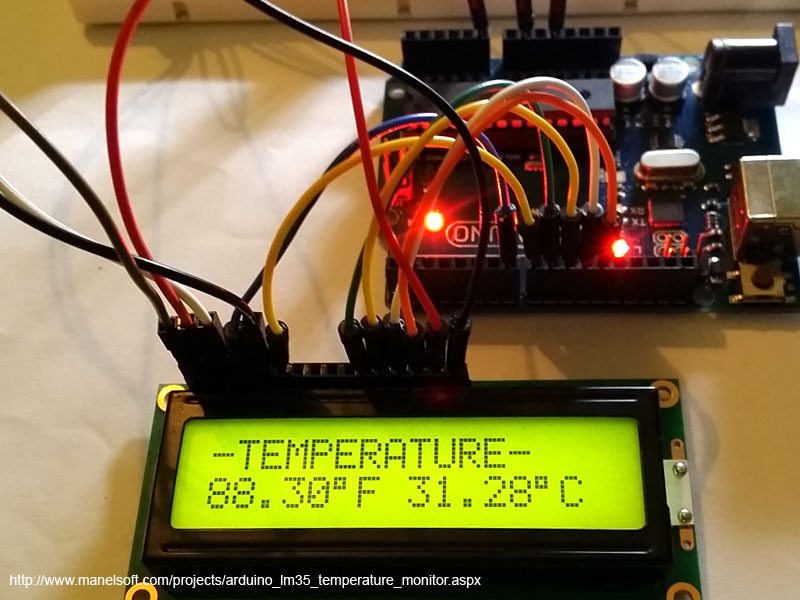 Temperature sensing using Arduino is very easy. 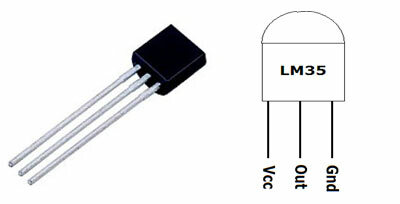 There are several temperature sensors available and in this example I am going to use famous LM35 Temperature sensor. 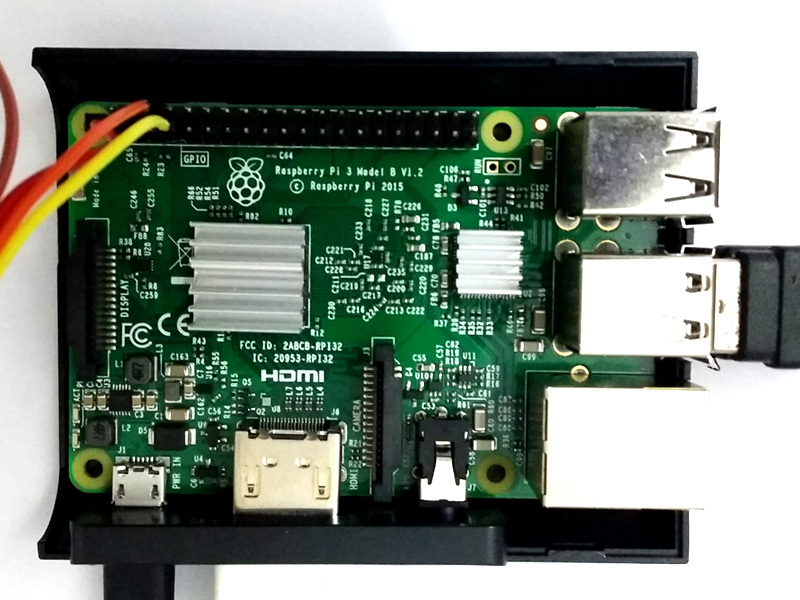 First I will use the Serial monitor to measure the temperature and then use LCD display to monitor the temperature. Before we begin, here are some images of the completed project. The LM35 series are precision integrated-circuit temperature devices with an output voltage linearly-proportional to the Centigrade temperature. The LM35 device does not require any external calibration or trimming to provide typical accuracies of ±¼°C at room temperature and ±¾°C over a full −55°C to 150°C temperature range. As the LM35 device draws only 60 µA from the supply, it has very low self-heating of less than 0.1°C in still air. The LM35 device is rated to operate over a −55°C to 150°C temperature range. 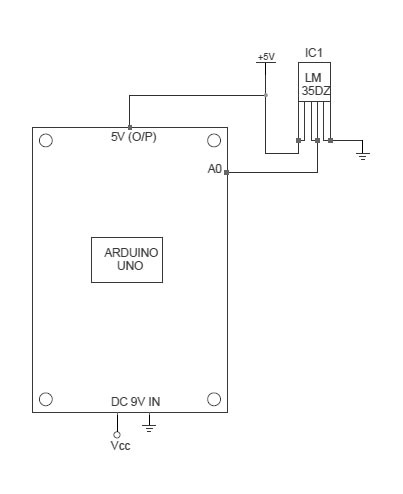 Connecting LM35 to Arduino Uno. 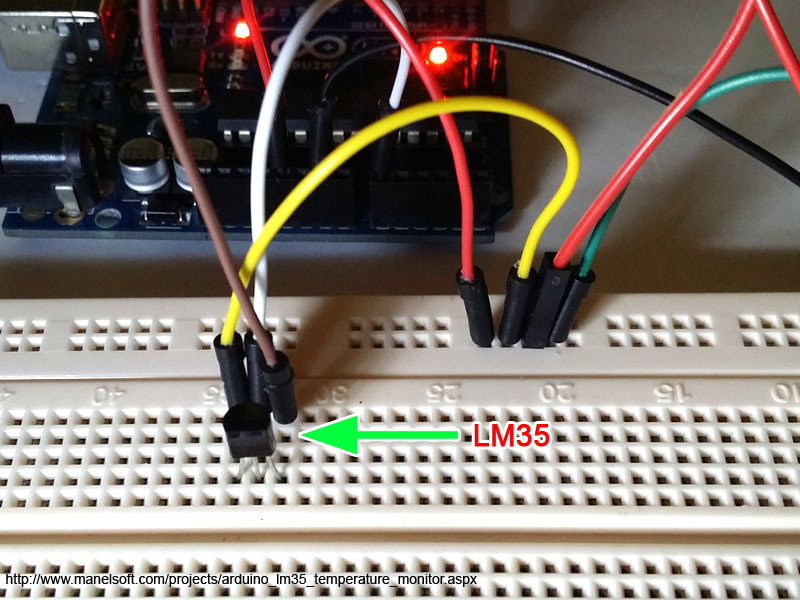 Connect the Pin 1 of the LM35 sensor to the Arduino +5V terminal and Middle pin of the LM35 to Arduino A0 (Analog input 0). Then the third pin of the LM35 to any ground terminal of the Arduino Uno board. Source code 1 - Using Serial Monitor. 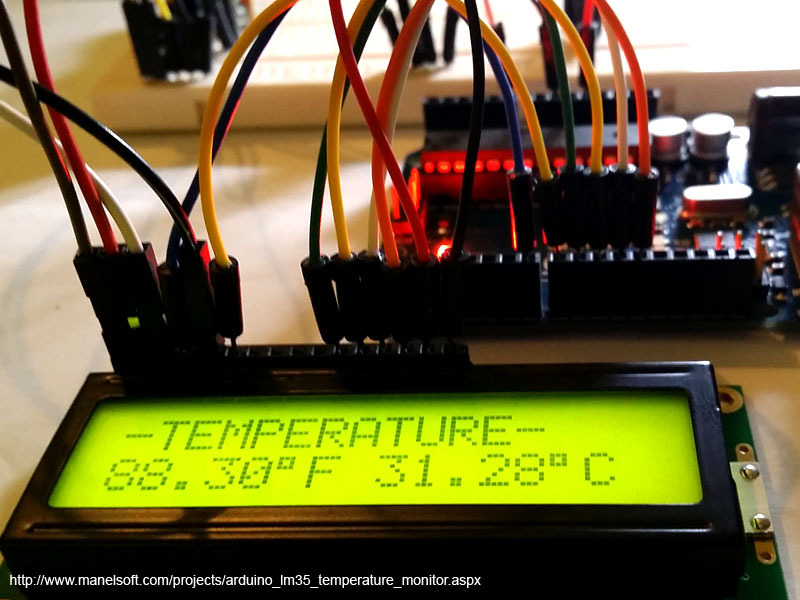 First we are going to monitor the temperature using the Serial Monitor window of the Arduino IDE. Insert the below code to the Arduino IDE and upload it. If you found any error, please double check your code. 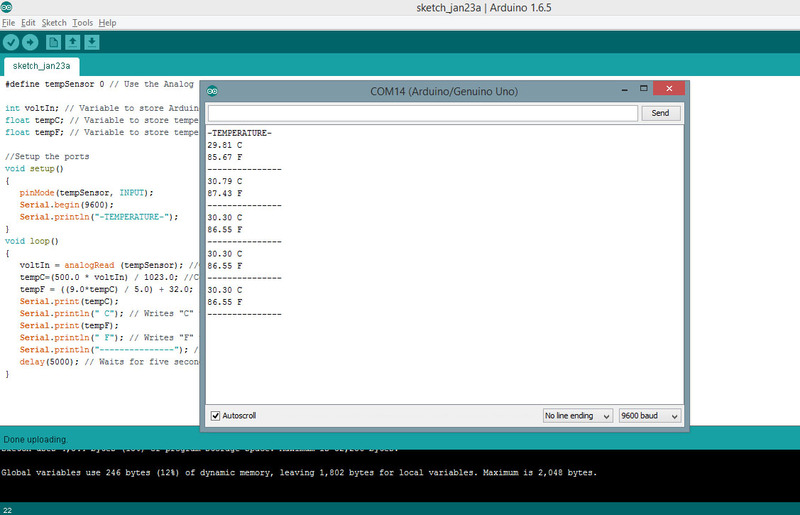 Now click the Serial Monitor icon of the Arduino IDE. This code will monitor the temperature in every 5 second and report it. If you could sucessfully upload the code, You will see an output similar to below screenshot. If you found any error, Double check your connections as mentioned on the above section and also double ckeck the code. 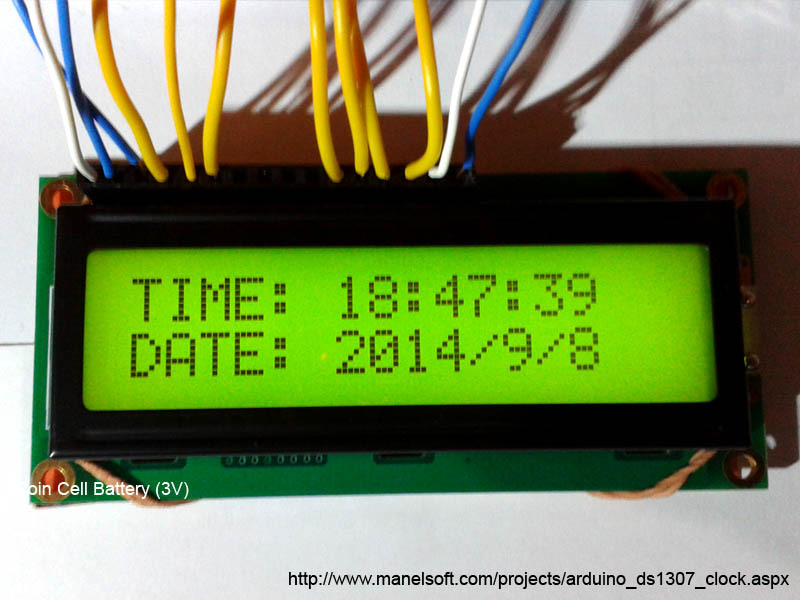 Source code 2 - Using LCD Screen. 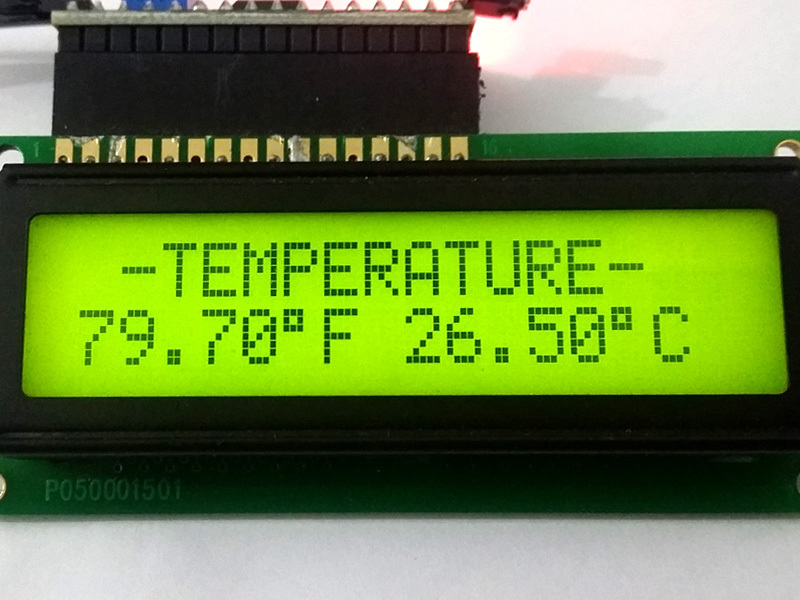 So this time we are going to connect a LCD screen to our project and create LCD Temperature Monitor. 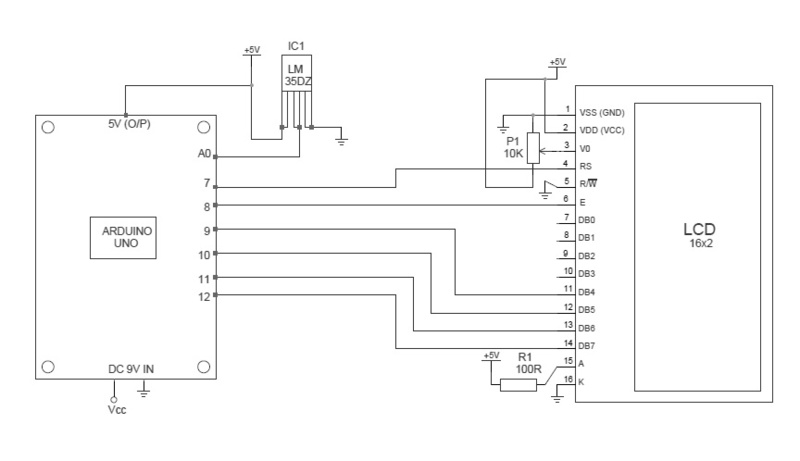 Use the below Schematic to connect LCD screen to your project. To learn more about working with LCD screens, read the below article. Insert the below code to Arduino IDE and upload it. 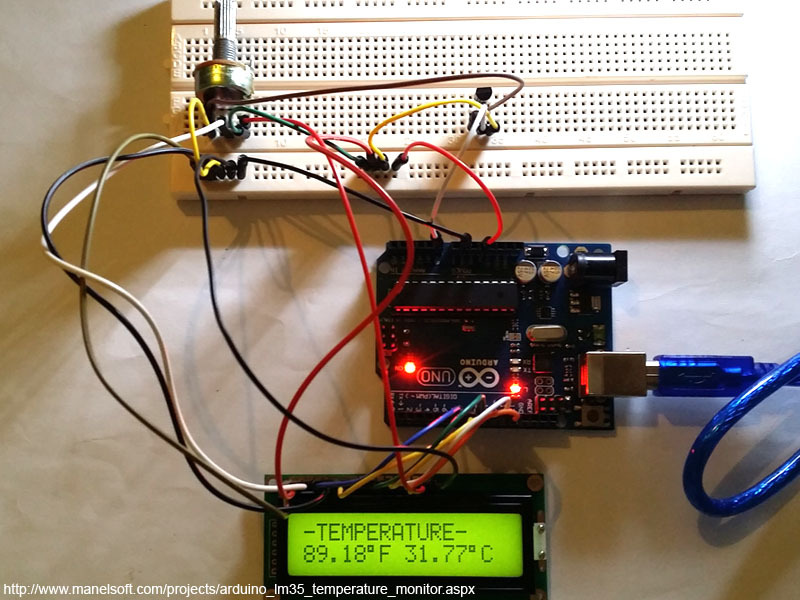 This code will read the temperature in every 5 Seconds and display it on LCD screen. Hope you enjoyed the tutorial. Next time I will update this tutorial to use a Micro SD card and log the temperature to a text file. Admin Reply : Thank you Rasheed! Manelsoft 2018 All Rights Reserved.